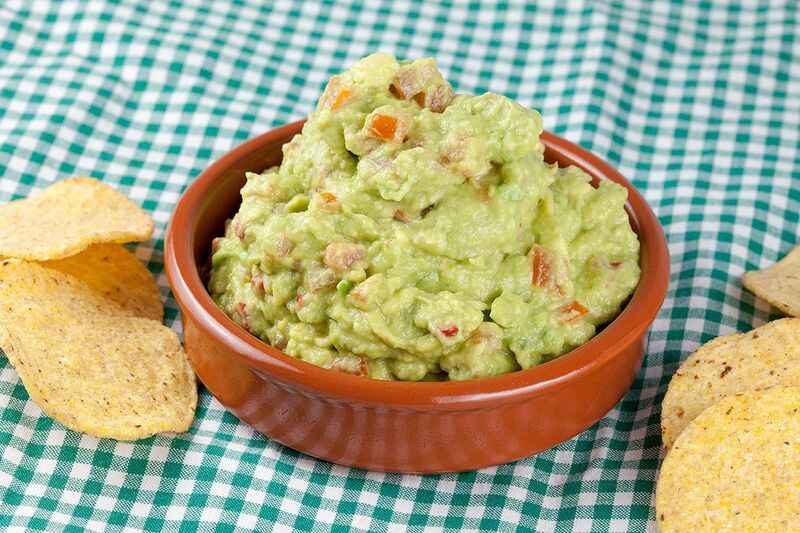 Guacamole is an avocado-based dip or salad that began with the Aztecs in Mexico. 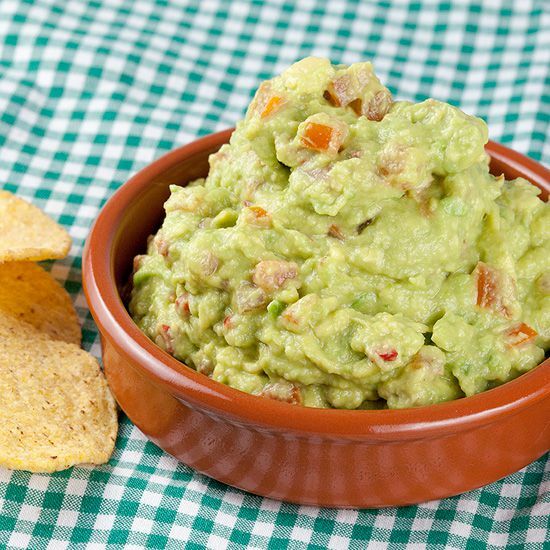 In addition to its use in modern Mexican cuisine it has also become part of American cuisine as a dip, condiment and salad ingredients. SLICE the two ripe avocado’s in halves, roll it so you cut around the stone. REMOVE the stone from the avocado by tapping your knife into it, then twist. It should easily come out now. Use a spoon to scoop the avocado flesh out, put this in the large bowl. FINELY dice the red chili pepper and tomatoes. 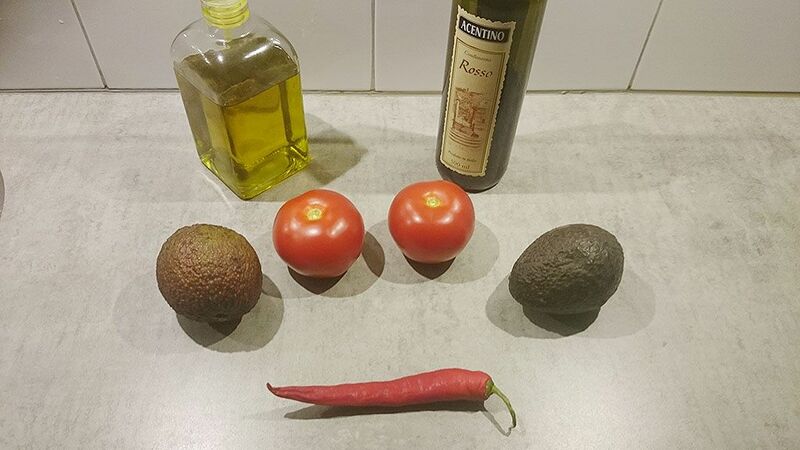 All you need to do it add in all of the ingredients: diced tomatoes and red pepper, 9 tablespoons of olive oil (less if you use very ripe avocado’s) and 2 tablespoons of red wine vinegar. MASH it together using the fork, serve with large quantities of nacho chips. This easy to make dip is simply perfect for movie night, enjoy! 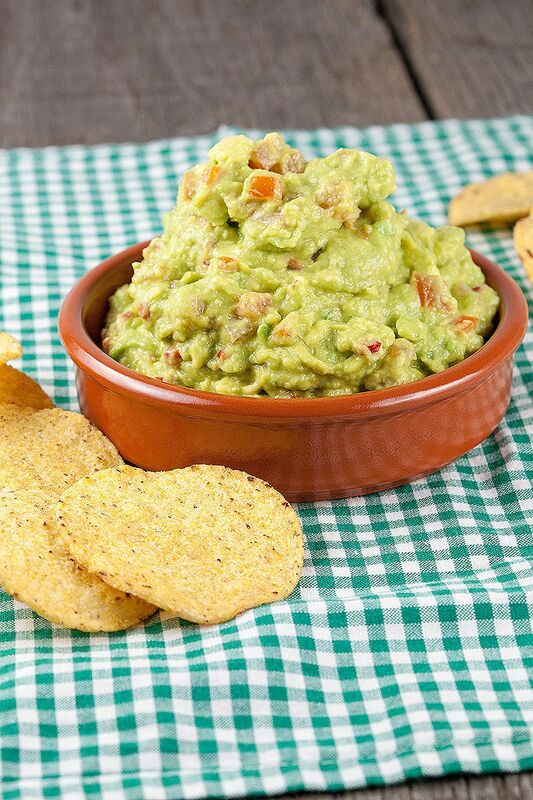 Really handy for a quick guac! Thanks for sharing! !